“Dazed and Confused” is a comedy cult classic from writer director, Richard Linklater. The ensemble cast of the film includes several up and coming Hollywood stars, including Jason London, Michelle Burke, Parker Posey, Cole Hauser, Joey Lauren Adams, Ben Affleck and Matthew McConaughey. The movie is set in Austin, Texas. It is the last day of school in 1976 and new high school freshmen are preparing for their annual hazing at the hand of the new senior class. For the freshmen girls, the hazing is merely a parking lot based demeaning ceremony where the seniors make the freshmen perform embarrassing stunts. For the freshman class of boys, the hazing ritual is to be paddled savagely by the seniors. A good portion of the afternoon has many of the freshmen fleeing in terror from their date with the seniors and their woodshop manufactured paddles. One of the main characters of the film is Randall “Pink” Floyd who is at more than one crossroad in his life. He is struggling with the pressure of being the school’s star quarterback. The coaches and his teammates are trying to get him to conform to their ideals and to sign an agreement not to drink or do drugs during the summer. In addition to these pressures, he is also trying to decide issues in his love life. He has a beautiful cheerleader girlfriend, but is smitten by the free loving book worm, Jodi Kramer. Jodi’s little brother, Mitch, has problems of his own. As a new freshman, he takes a major whipping at the hands of O’Bannon, a returning senior who flunked 12th grade. Mitch also has some trouble fitting in and is worried about how things will be in high school. Randall takes a liking to Mitch and invites him to hang out with the seniors. During the get together at the local hang out, we meet the film’s most iconic character, Wooderson. He is a twenty something alumnus of the high school who refuses to grow up and continues to hang out with the youngsters. Wooderson, Mitch and Randall along with the rest of the group participate in a lot of mischief including some mail box baseball, underage drinking and plotting revenge against O’Bannon. The film culminates with blow out party at the moon tower. Every character has a story and each story plays out by the end of the film. Everyone learns a little more about themselves and each other. The film is a time machine that takes the viewers back to their own high school years. 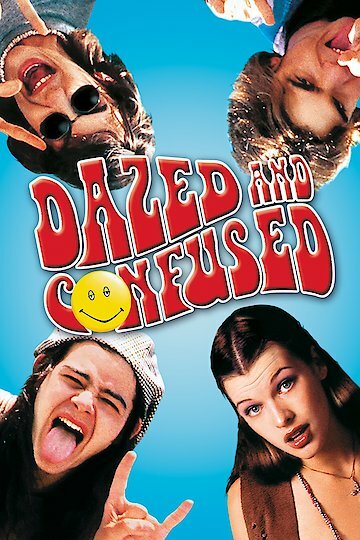 Dazed and Confused is currently available to watch and stream, buy on demand at Amazon, Vudu, Google Play, FandangoNow, iTunes, YouTube VOD online.